September is national Hunger Action MonthTM and there are many ways you can help Fight Hunger Statewide! 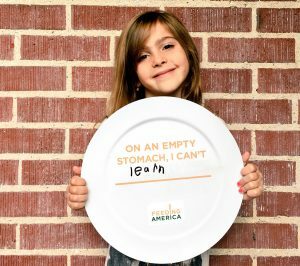 September is national Hunger Action Month™, when Feeding America, Utah Food Bank and a nationwide network of food banks unite to urge individuals to take action in their communities. The goal of Hunger Action Month™ is to mobilize the public to act on behalf of the over 46 million Americans facing hunger—and the 382,000 in our state alone. It is our opportunity to create a movement throughout September that has a real and lasting impact on our mission of Fighting Hunger Statewide. As individuals, charities, businesses and governments, we all have a role to play in getting food to those in need. Here are just a few of the ways you can get involved in September. Join us for this family friendly 5K where costumes are highly encouraged to commemorate national Hunger Action Month™ and engage hunger fighters in Southern Utah. From Your Piggy Bank, to Utah Food Bank.